I often think that if we all become more aware of how we’re acting and choiceful about how we want to be, we’ll live more in alignment with ourselves and with each other. Sure, the future won’t always turn out exactly as we intend, but at least we’ll be consciously trying in a direction we decide upon. What I often forget, though, is that awareness is not just a consciousness of our intentions and actions, but also a consciousness of our patterns of thinking. We all have a collection of cognitive biases that run invisibly within our heads – the biases which consistently guide us away from truthful, clear thinking. They influence us without us ever realizing it; they inform how we see the world and decide to act. All are proven via extensive social science research. And that’s the craziest part – we know about them, we’ve proven them, and yet we all keep on getting things wrong in the same ways over and over again. I recently came across a fantastic list of cognitive biases in Michael Schermer’s book The Believing Brain and it reminded me of all the ways I am consistently getting things wrong. I’m always trying to recommit to becoming more aware of not just what I want but how I’m thinking, and this was a good prompt in that direction. They say the solution isn’t getting rid of the bias (which, in my experience, is near impossible), but instead becoming aware of how it might impact you in everyday situations. 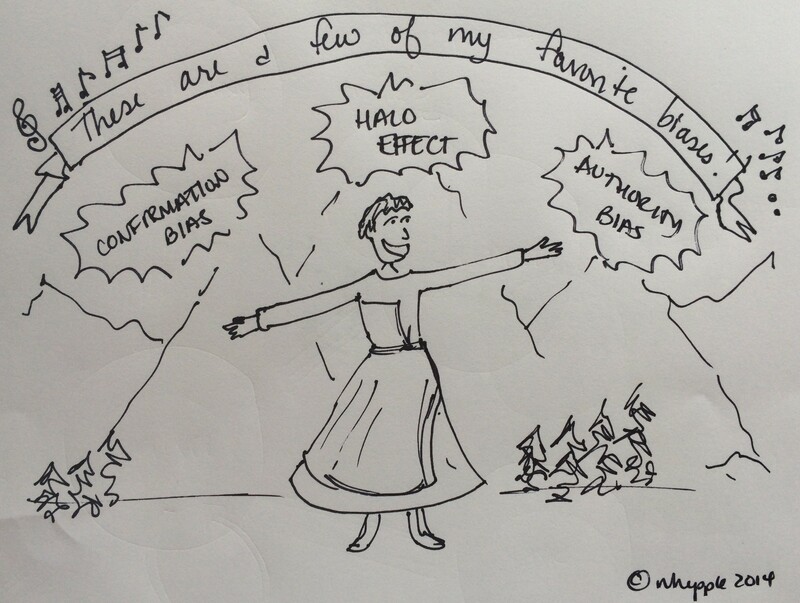 As for me, confirmation bias, halo effect and authority bias are always cropping up in my world. Which of these do you see in your life? Which are you actively combating? With compassion for all our invisible shortcomings! Inattentional blindness bias: Tendency to miss something obvious and general while attending to something special and specific (“I don’t know why all those people were on the corner protesting, but did you see that woman’s blue pants?”) The classic example of the inattentional blindness bias is here. 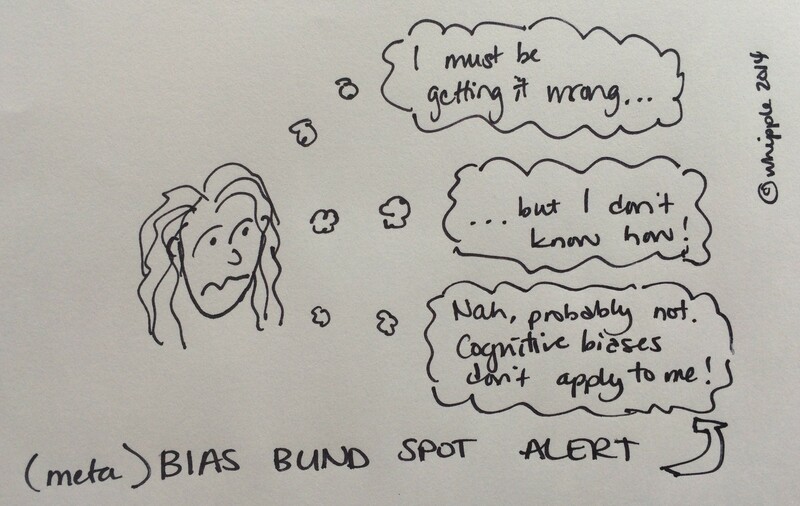 And here’s the even crazier part: If you think that these biases don’t apply to you, then you’re succumbing to the ultimate meta-bias: the bias blind spot. 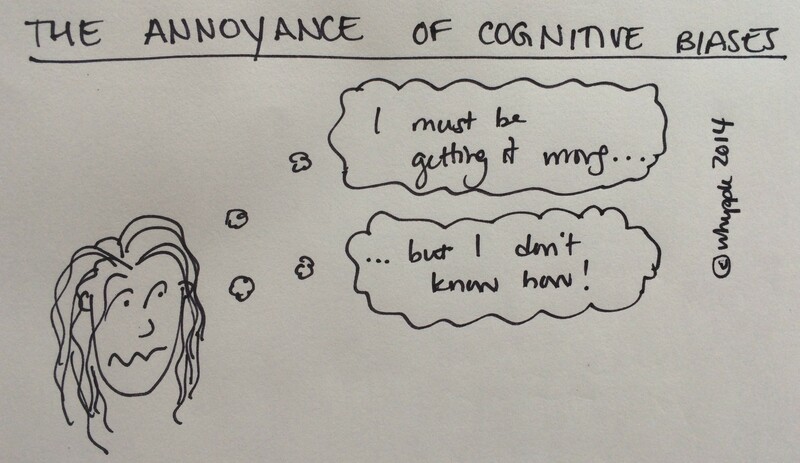 That is our “tendency to recognize the power of cognitive biases on other people but to be blind to their influence on our own beliefs.” Annoying, isn’t it? ← Are You Reacting To Life or Creating Your Life? My posts may contain affiliate links. If you buy something through one of those links, you won’t pay anything extra, but I’ll get a small commission which will be reinvested in content creation. This is made possible through participation in the Amazon Services LLC Associates Program, an affiliate advertising program. Thank you for your support! Follow me! Enter your email here to receive a message each time there is a new The Intentional post!